International athletics’ governing body has been hiding over 150 doping-positive tests results for years, Russia's Sports Minister Vitaly Mutko said on Friday. 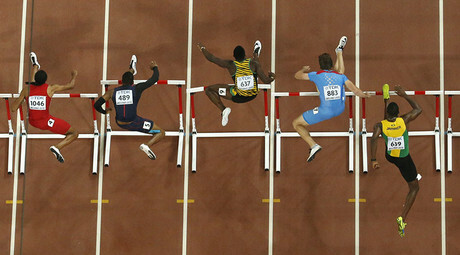 Russian athletes were involved in only a small percentage of those cases, the official added. "Those are not my accusations, it's a criminal investigation that was launched in France against the previous administration of IAAF (International Association of Athletics Federations), which had an election recently and now has a new executive board and a new president," Mutko told RT. Mutko expressed hope that under the organization’s new president, Sebastian Coe, the IAAF “will have more reasonable policies.” However, Russia’s sports minister says that the IAAF’s "credibility is now in tatters," following the current doping scandal. Russia has met the requirements and has "delivered on all recommendations" presented to it by the international doping control authorities, the minister added. The work of Moscow’s anti-doping laboratory is based on the model from the World Anti-Doping Agency (WADA), Mutko said, adding that all data from Russia's athletes' biological passports is automatically entered into the international control system. Russia has spent over a billion rubles ($15 million) on anti-doping policies, he said, adding that the sports doping problem is not specifically confined to Russia. "Doping is not an issue of one specific national federation or country. It is an international issue that we can only tackle together, by getting cooperation from states, the athletes and federations," Mutko told RT. Any anti-doping activities must "first and foremost" be aimed at protecting those athletes who have integrity and who haven't been engaged in doping, the sports minister said. "Those who break the rules... must be penalized and very harshly, but clean athletes must not suffer because of them," he said. Over 500 athletes have competed for the Russian Athletics Federation (VFLA) and international anti-doping agencies and sports associations supervise many of them, Mutko mentioned, adding that their drug testing process is controlled by WADA. Imposing a blanket ban would cause "tremendous damage to this sport, not only in Russia, but across the world," the minister pointed out. For its part, Russia has already been taking steps to clean up athletics in the country with a number of officials and coaches being relieved of their positions, Mutko told RT. 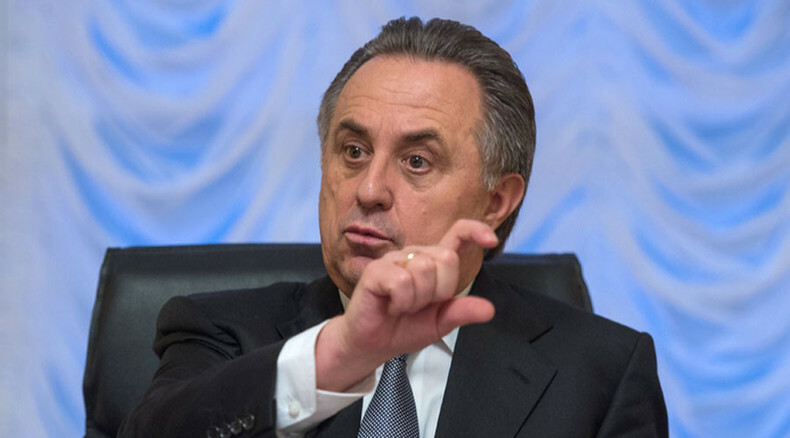 Earlier on Friday, Mutko told a press conference that up to 160 sportsmen and women have been banned from competition every year. "Some might call it efficient work, while others could say the number is too big," he said. Russia needs to play fairly and is ready to cooperate with international agencies surrounding the doping issue, Mutko told RT. "But it's important for us that the [applied] standards and requirements are the same for all national federations and for all countries," he said. "We would like international organizations to be objective, balanced and mature," he concluded.